Now that we are getting ready for the holidays, I tend to make meals a bit more special, or at least make recipes that I usually don’t make during the year, that way, we appreciate them even more. 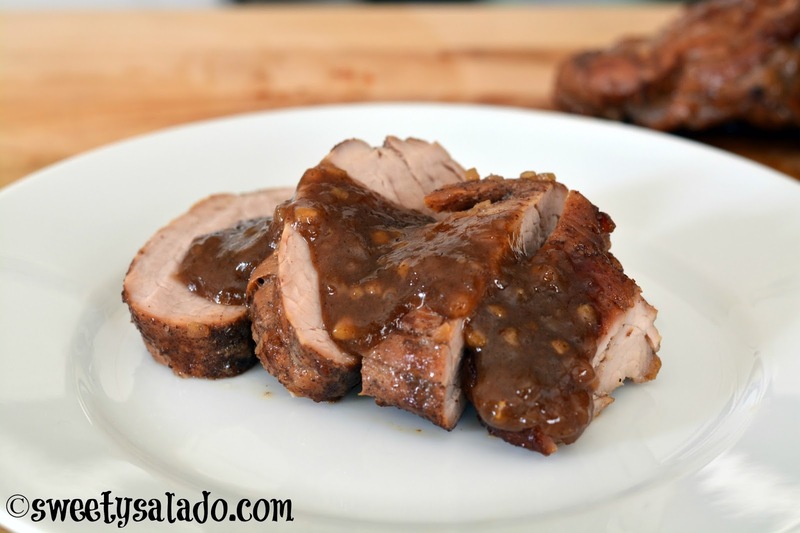 One of those dishes always include some sort of pork tenderloin recipe, not only because it’s delicious but also because it can feed a lot of people. I found this recipe online a few years ago and the first time I tried it I was a bit apprehensive about using ground cinnamon in the marinade. It just sounded weird and very unappetizing but I still used to to see what it would taste like. I’m glad I did because it’s the key ingredient that makes you love this recipe even more. You can serve this pork tenderloin with any of the side dishes I have on the blog like the glazed carrots I posted last week, the potato salad goes really well with this dish as well, and don’t forget about the roasted Brussels sprouts which I’m sure everyone will love. 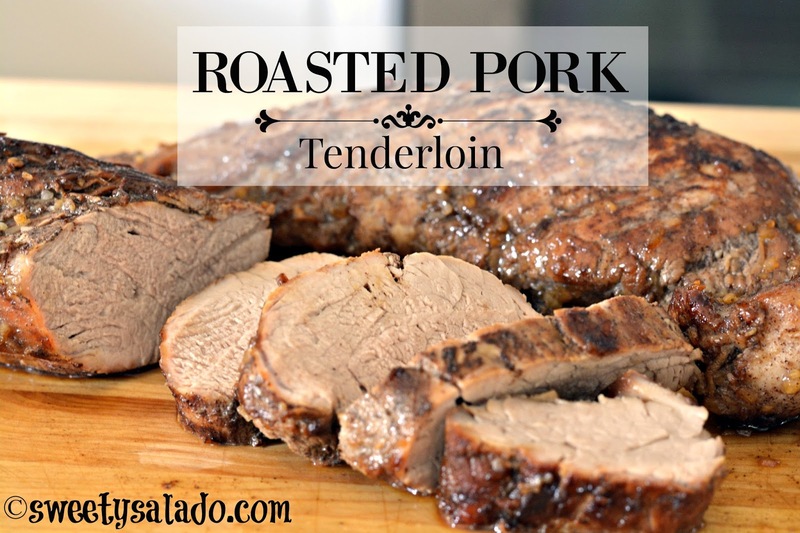 Trim all the fat from the pork tenderloins and set aside. Place the soy sauce, sherry, olive oil, brown sugar, garlic, onion and cinnamon in a large resealable bag and mix well. Add the pork tenderloins, seal, massage really well and store in the refrigerator for at least 4 hours, preferably overnight. Preheat oven at 375ºF (190ºC). 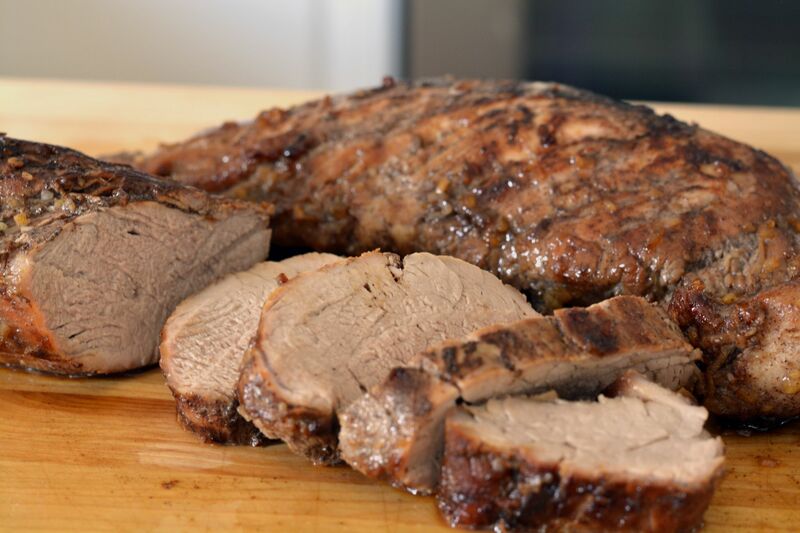 Take out the pork tenderloins from the bag and reserve the marinade. Sear them on both sides in a large pan over medium high heat, for about 4 minutes per side. Then, place them in a roasting pan covered with aluminum foil and roast them in the oven for about 25-30 minutes or until a thermometer inserted in the thickest part of the meat reaches 150ºF - 155ºF (65.5 - 68ºC). Let the pork rest for about 10 minutes before slicing. While the pork is roasting, bring the reserved marinade to a boil in a small sauce pan and simmer for about 5-10 minutes on low heat. During the last minute or so, dissolve the cornstarch in the 2 tbsp of water and add it to the marinade. Stir until it thickens and serve along with the pork.